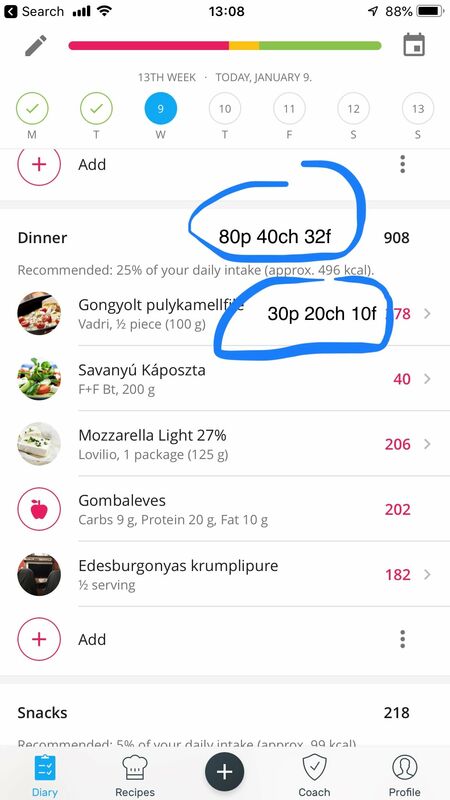 Most of the time there is only the calorie displayed for a food/ingredient in various screens, sometimes even nothing. Being able to see which ingredient is causing the calorie to be high, how much protein do I eat for lunch, etc. can be very useful. In recipe view, having them at the top is more informational (only calorie is listed at the title currently). Please see my suggestions on the images, I've drawn circle to point out the new numbers. Your email is never displayed to other users. YAZIO (EN) staff will be able to see your email address.